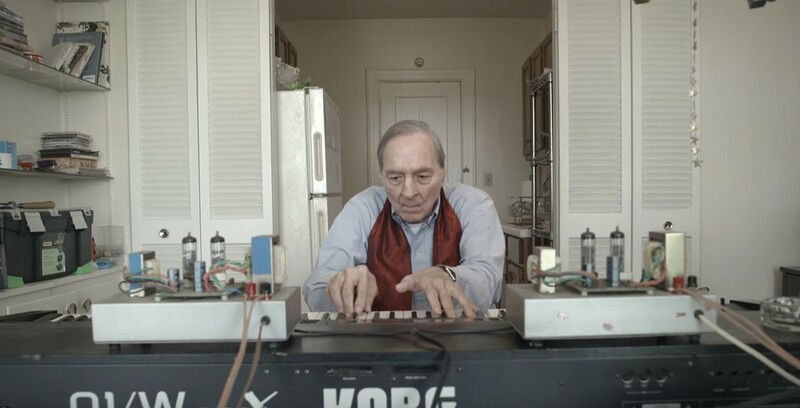 Acclaimed photographer William Eggleston has a new instrumental album made using an 88-key Korg synthesizer. One of the great photographers of the 20th century, William Eggleston is just now, at 78, releasing his debut music album on Secretly Canadian. "Musik" showcases the Memphis native's synthesizer playing ("a retro sound somewhere between Tomita and Tangerine Dream" according to NPR). Plus there's a new documentary which premiered today on NPR that was created by acclaimed Richmond filmmaker, Rick Alverson, who lives in Church Hill. In more Alverson-related news, the director tells Style that he is currently in New York to begin shooting on his new feature, "The Mountain." A recent article in the Hollywood Reporter said that actor Jeff Goldblum ("The Fly") was attached. “It reminds me in tone of P.T. Anderson’s There Will Be Blood or The Master, metaphorical critiques of the American psyche, in the vein of Death of a Salesman," says Goldblum in the article. "It’s not for everybody, but I really like it, I keep working on it, and I like him." Stay tuned for an article next week on Alverson's new music project, Lean Year, who will be performing at Black Iris on Oct. 25. It was during Eggleston’s Sumner, Mississippi childhood, where he discovered the piano in the parlor that ignited in him a lifelong passion for music. It was a passion he carried forth his entire life, playing quite adeptly when a piano was handy. In the 1980's, Eggleston, who disdained digital cameras and modernity in general, became surprisingly fascinated with a synthesizer, the Korg OW/1 FD Pro, which had 88 piano-like keys, and in addition to being able to emulate the sound of any instrument, also contained a four-track sequencer that allowed him to expand the palette of his music, letting him create improvised symphonic pieces, stored on 49 floppy discs, encompassing some 60 hours of music from which this 13 track recording was assembled. You can buy or stream the album here.